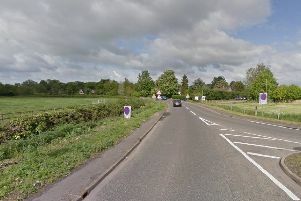 A man has died following a serious crash involving a white tanker near Spalding yesterday afternoon. Road closures were put in place at the Beech bank junction and the Northgate Junction, near Cheal Lane, Gosberton, Spalding, for much of the afternoon yesterday, Wednesday September 13, as police dealt with a serious collision which took place at 1.09pm. Police are asking for any witnesses who have seen a white Tanker driving on Cheal Lane at around 1pm, or the collision, which saw the tanker leave the road and tip over in a field, to come forward. Sadly, the driver of the tanker, a local man in his 40s, has died. The white Tanker involved was containing non-hazardous contents. Anyone with any information should contact 101 quoting incident 236 of 13 September.